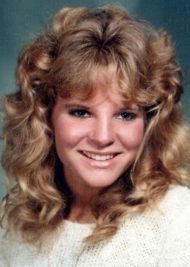 Lisa Alaine Henry, 50, of Lititz, PA, passed away on March 30, 2019 at UPMC – Lititz. Born in Summit, NJ, she was the daughter of Roger & Barbara (Huth) Wiseman. Lisa was the loving wife of 24 years to Todd Michael Henry. Lisa was a graduate of York College and held managerial positions in food services. She enjoyed gardening, cooking, and vacationing, especially to the beach. Lisa enjoyed spending time with her husband, going for long walks and watching movies with him. Surviving in addition to her husband, Todd, and her parents, Roger & Barbara, is a brother, Keith Wiseman; mother-in-law, Phyllis Wright, wife of Ed; brother-in-law, Peter McGuinness; and nieces & nephew: Arianna, Mackenzie & Seamus McGuinness. Lisa was preceded in death by her son, Colten Henry; and her sister, Valerie McGuinness. Family & Friends will be received from 3-4 PM with a Celebration of Lisa’s Life beginning at 4 PM on Friday, April 5, 2019 at the Charles F. Snyder, Jr. Funeral Home & Crematory, 3110 Lititz Pike, Lititz, PA 17543. Because of Lisa’s great love for her late sister, contributions may be made to The Valerie McGuinness Educational Fund: c/o R.K. Wiseman, 1948 Glendower Drive, Lancaster, PA 17601. My sincerest condolences to Todd, the Wiseman, Henry, families and friends. Lisa was a great friend to many and will be greatly missed. Her spirit and memory will remain eternal with all of us until we meet again in heaven. Rest In Peace Lisa. Our heartful thoughts and prayers are with you during this difficult time ! Treasure the memories !! Our hearts and prayers go out to the family for your losses. We will be complying with your wishes for remembrance. My sincere condolences to Todd Barbara Roger Keith. May her beautiful soul rest in peace. Our deepest condolences to the Wiseman and Henry families at this difficult time.